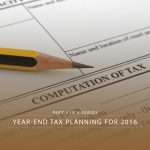 Here in the third installment of the series of posts about year end tax planning, we’ll cover some strategies dealing with stock-based compensation. Employers that offer stock-based compensation typically offer one of the following: non-qualified stock options, Incentive Stock Options, or restricted stock units (stock grants). There are other, more exotic types of stock-based compensation, like phantom stock plans, but planning for those is beyond the scope of this discussion. In a non-qualified stock option (NSO) plan the employee is granted an option to purchase employer stock, typically at the market price of the stock on the day the option is granted (called the “grant price”). Most often, the options vest over some period of time according to a predetermined schedule. If the underlying stock has gone up in price, the employee still gets to purchase the shares at the grant price – the market price at the time the option was granted. There are special tax considerations related to getting stock option in non-publicly traded employers, so if you’re in that situation, let’s be sure to talk as soon as you know that the options will be granted. If the employee exercises some or all of the vested options and the current market value is higher than the grant price, the employee is taxed currently on the difference between the market value and the grant price the employee is paying for the stock. That income is treated as ordinary income characterized as wage income for Form W-2 purposes. It will also be subject to Medicare tax (and FICA if the employee’s income for the year is not already over the FICA cap). For example, assume the employee receives an option grant on a day when the stock price is $10 per share. Let’s further assume that 18 months later, the first portion of the option grant vests and the employee decides to sell the stock on a day when the market price of the stock is $18 per share. The employee will pick up as wage income the $8 per share excess of the market price over what she paid on that day. This is the purchase leg of the option exercise. Almost always, employees exercise the options and immediately sell them because they have some other need/use for the funds. The sell side of the transaction is the sales leg of the transaction. As a convenience, employers usually collapse the purchase and sale leg of the transaction and arrange so that any amounts due the employer to pay the grant price and the appropriate tax withholdings are netted out of the amount received on the sale. Employers will have a detailed accounting of both legs of the transaction available to the employee and that should be included with the information submitted to us to prepare your tax return. Unless there’s some overriding investment or employment reason or the options are expiring, don’t exercise NSOs until you have some reason to need the funds. If you’re planning on exercising NSOs towards year end, consider spreading the exercises over the current year and the beginning of the next year to try and avoid pushing yourself up into the next marginal tax bracket. We can help you forecast your current year marginal rate if you’re in this situation. If some portion of a grant was in existence during a year in which you lived in a state that has an income tax, or if you’re thinking of moving to a state that happens to have an income tax, let’s talk about the complexities of the state tax aspects of this. If you are confident that your company stock will do very well, you may want to exercise vested options now in order to start a new basis (the price on the day of exercise) since any gain recognized during the period you hold the stock after exercise would be capital gain subject to the lower capital gains rates. Incentive Stock Options (called ISOs) are similar to NSOs, but the differences result in very different tax treatment. From the employee’s standpoint, the option grants look very much the same, from the employer’s standpoint, the option program has to meet certain very specific statutory guidelines and the tax treatment to the employer is different than NSOs. While NSOs can be subject to any vesting schedule the employer wants, ISOs have a specifically required vesting schedule and the ISO options must expire after 10 years. Employees who exercise options and do not immediately sell the stock are treated as having no option-related wage income in the current year for regular tax purposes. However, the difference between the market price at exercise and the grant price of the stock is treated as ordinary income for purposes of calculating Alternative Minimum Tax (referred to as “AMT”) purposes. The holding period for purposes of capital gains starts on the day of the exercise and if the employee holds the stock for the minimum long-term gain period (currently one year), any gain on the sale of the stock is treated as long-term capital gain. Employees who sell the stock received within one year are treated as having made a “disqualifying disposition” and must report it to the employer – the difference between the exercise price and the grant price will be treated as a clawback and the employer will report that as wage income similar to NSOs. Planning with ISOs – A careful analysis of any AMT forecast for the current year is a key element in the planning for ISOs. Taxpayers with ISO income are commonly in a situation where they can do a disqualifying disposition of already exercised ISO shares without increasing their tax liability or where they can exercise (and hold) additional ISO shares to bring their AMT up to the point just below what their regular tax will be for the year. It sounds complicated because it is – if you have unexercised ISO grants, let’s be sure to talk before year end. You may be able to start the clock on getting to Promised Land of long-term capital gain at no current tax cost, at least with respect to some shares. Restricted Stock Units (RSUs) have grown in popularity over the last 10 years or so. Enough so that they’re a fairly common form of stock-based compensation for employees in technology companies. 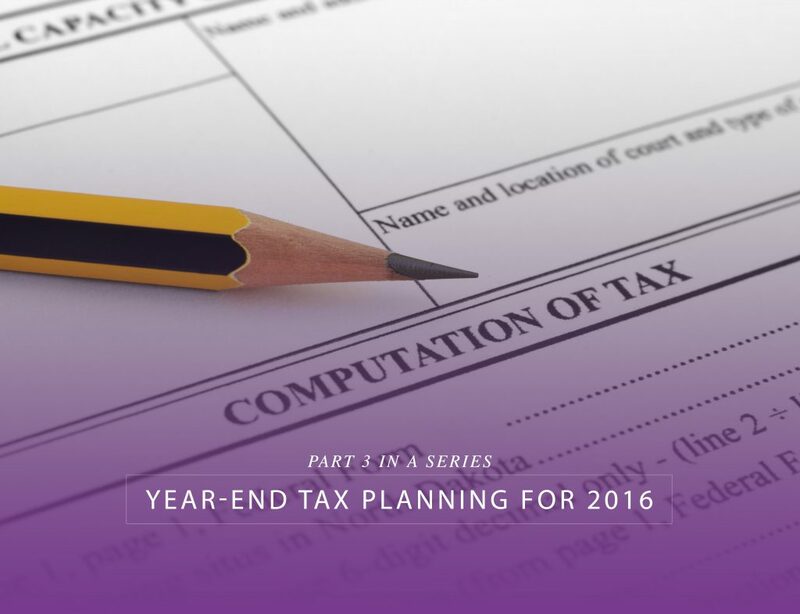 RSUs are taxed differently than either NSOs or ISOs. RSUs are typically shares of common stock in the employer. Grants of RSUs are made and vest over a period of time. Typically, there’s no grant price associated with the RSU because at the vesting date, the shares will be available to the employee at no cost to the employee (there may be some small charges for transaction costs). As the RSUs begin to vest, the value of each batch of stock is treated as income and taxed as wage income at the time the RSUs vest. In most cases, the employer will allow the employee to give up some shares at the time of vesting in order to pay the taxes and withholding due on the RSU income. Alternatively, if the employee wants to keep all of the shares in the vesting grant, she will need to write a separate check to the company to cover the taxes and withholding due. 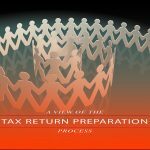 There is not a lot of tax planning that can be done with respect to the RSUs as they vest since the taxation is determined entirely by the grant vesting schedule that was determined at the time the RSUs were granted to the employee. That said, knowing what amounts will be vesting during a calendar year are an extremely important piece of the overall tax planning picture and the vesting of the RSUs must be taken into account. My experience (I use TurboTax, so what could go wrong), is that if you incur an AMT tax liability do to the exercise – but not the sale – of an ISO, that amount paid as AMT on that ISO exercise can be claimed as a credit against the tax liability incurred, when the ISO stock is ultimately sold. If this is not correct, remember that I am only asking this for a friend. Correct. An AMT liability paid generates a carry forward credit to the extent that it arises from AMT/regular tax differences that result from timing differences like depreciation or ISOs. The AMT credit doesn’t track to specific items, so the carry forward doesn’t have to wait to be used until that particular timing difference turns around. Each year’s AMT credit generated or used is calculated on a net basis, for that year.